Kentucky is a commonwealth full of secrets. Bourbon was one such secret for decades, but a sudden and much-deserved rise in popularity over the last two decades has brought the world’s attention to bear on that industry. And now it seems, some of Kentucky’s other secrets are getting out. Our latest discovery: Shelbyville, a tiny town visitors pass by in droves going from one distillery to another, never knowing how many unique activities, eating and drinking establishments, and adventures are waiting inside. 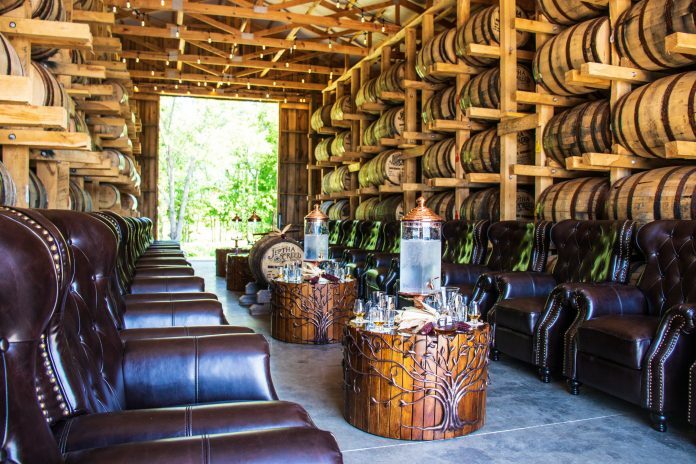 These activities have an exceptional pedigree: a mixture of outdoor activities, boutiques, historical tours, delicious eats, and, yes, Bourbon. And because of that and the scenic places to stay, we think it’s the perfect place for couples to get away for a weekend. Within Shelbyville there’s something for everyone, so whether you want to spend the weekend together one on one with your significant other, or bring a few other couples and split the time between your loved one and your buddies, we’ve gathered the best of the best for you to see. Saturday mornings are the window for ambitious outdoorsmen and women in Shelbyville, with a handful of exciting activities to get out early in the morning and enjoy before the summer heat gets too heavy on your shoulders. Yes, Shelbyville has more scenic views and activities to offer besides its charming Main Street and dozens of walking trails. A whole array of outdoor activities are available for varying levels of adventurer, including some activities you may want to do together. Shelbyville’s park systems has miles of public trails for hiking and horseback riding, as well as an archery range and a host of other activities that could be equally fun for a couple’s activity, or a breakout session when the boys want to do something together. And there are many things for them to do, including playing a round at one of several gorgeous golf courses, or a visit to Guist Creek Lake: a man-made lake with seemingly endless corners and pools for fishing the well-stocked waters; they were literally jumping as we zipped around the lake exploring with our guide Eddie. The Marina will outfit you with everything you need if you’re not bringing your own gear, and Kentucky fishing licenses are only $15. Shelbyville is full of history, going back to Colonel Sanders and the origins of Kentucky Fried Chicken, back farther yet to the origins of the Saddlebred horse, and yet farther again to one of the first schools for girls in the state of Kentucky. Historic Undulata Farm is a Saddlebred mecca, with generations of horse breeding know-how still operating today. Summer getaways will see Saddlebreds trotting the lush Kentucky bluegrass. A word of caution here: foal season is typically earlier in the spring, so if you’re in this for the horses, consider sometime in April or May to visit. One of the most interesting historic options, though, was Historic Science Hill school, now the Wakefield-Searce Galleries. The respectfully maintained girls’ school campus is a historic gem, and the tour of the buildings weaves through a fantastic collection of antiques for sale, including a seemingly endless collection of silver, and room after room of high Georgian carpentry. 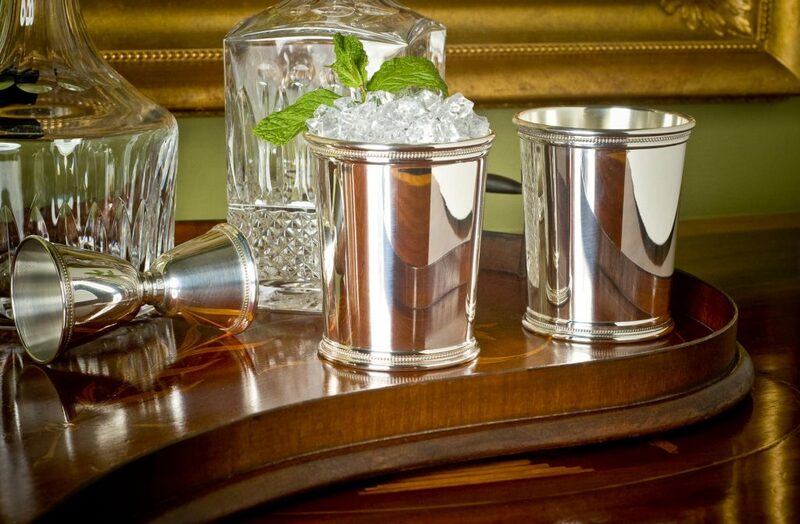 This is also the place where the presidential Mint Julep Cups are sold, so it makes for a really amazing souvenir if you’re feeling so decadent. This wouldn’t be a Bourbon Review recommendation without the consideration of whiskey. Yes, as usual with a great Kentucky destination you’re only an hour or so from many great and legendary distilleries, but while the big ones may be a draw, the hidden gems of Kentucky’s whiskey world are providing some of the most interesting experiences these days. Case in point: Jeptha Creed. Jeptha Creed uses an heirloom corn variety called Bloody Butcher: a deep red kernel with a deeper, richer flavor that yields bourbon with more body and texture than some of the standard corn varieties out there. 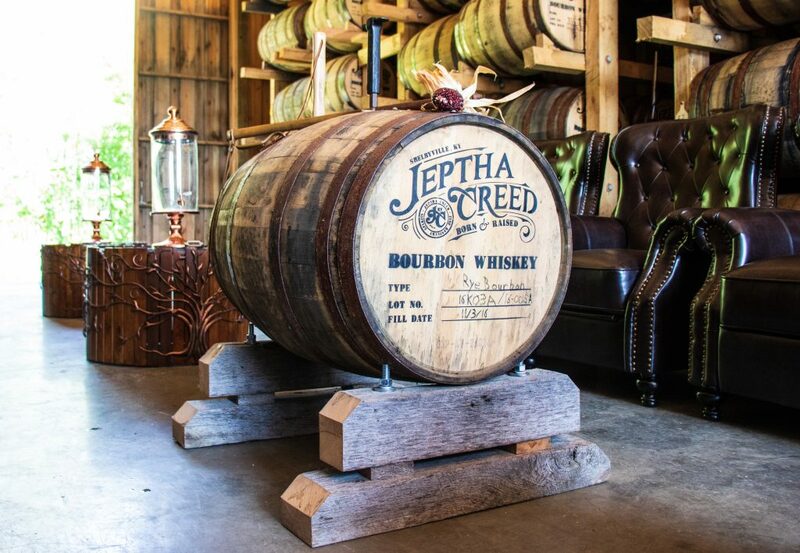 Jeptha is still a little off from releasing several Bourbon mashbills, but we already marveled at the Bloody Butcher’s Creed: a six month old whiskey aged in ex-Bourbon barrels in climate control to speed up the wood interaction. It’s smooth and subtle, but delicious. The distillery has great tour options including a special behind the scenes barrel tasting session that can be booked through Mint Julep tours, but even if you don’t want to get deep into their distilling psyche on your weekend away, they offer cocktails and live music just about every weekend, so it’s a great direction to wander when the sun starts getting low. If, for some reason, you need a break from whiskey, visit nearby Talon Winery. This tasting room is just in a stone’s throw away and good for a fun time with something a little different. Shelbyville has a surprising number of dining options to take you through the weekend. Want to get up and at it early on Saturday? A quick cup and bite at the main street coffee shop Sixth and Main will get you moving in a hurry, and their house blend is really tasty. 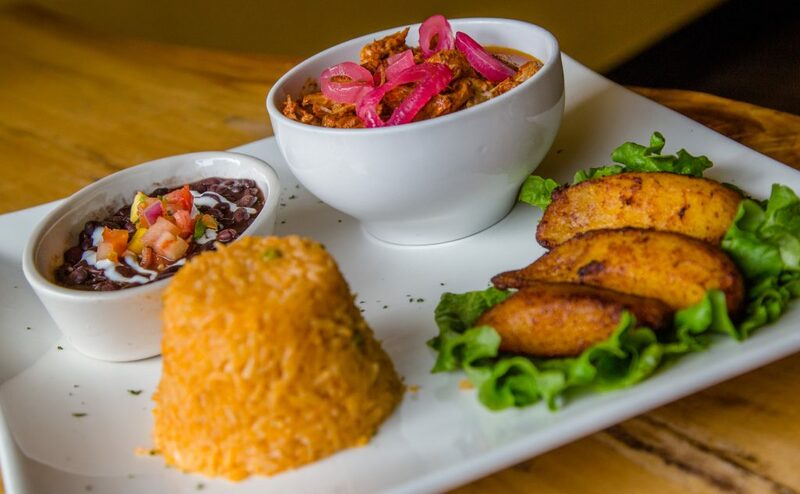 For lunchtime bites, Cocina de Mama offers American-style Mexican flare: big, cheese-covered portions and a nice atmosphere for unpacking the morning’s activities. What might be more appropriate if you haven’t been eating southern food all week already is Bourbon Kitchen: an all-in-one experience. They serve biscuits and coffee in the morning, a great slate of burgers, street-style tacos and more during the day, and the bar is well stocked with whiskey picks you might not expect to see so readily available in smaller towns. We’d be remiss if we didn’t mention Claudia Sanders: the classic American dining experience from the widow of the Colonel himself. Everything here is lovely, but if you’re particularly slow-moving from a long day and a long night, it’s an exceptional morning-after calorie fest, with fresh, hot yeast rolls flowing constantly from the kitchen. Oh, and as you might expect, the chicken is particularly amazing. For dinner your options include several of the daytime options, but we’d suggest keeping an eye on two great gathering locales. The Red Lion is styled like an English pub but beckons with more traditional southern food: burgers, catfish, and pork chops. They have a small but impressive Bourbon list. Stick to beer and whiskey here, unless you want an old fashioned. But while its edifice may not be the most impressive in town, JT’s Pizza was our favorite mealtime choice. The pizzas a crunchy on the bottom and topping-loaded, but the sandwiches were a perfect hoagie presentation: stuffed with meat and toppings, crispy on the outside and still soft in the middle, with enough to pack away for a late-night snack back at the AirBnB after visiting the bars of Red Lion or Bourbon Kitchen. There are a couple of activities we need to mention that didn’t really fit into our other categories, but are nevertheless worth your attention. 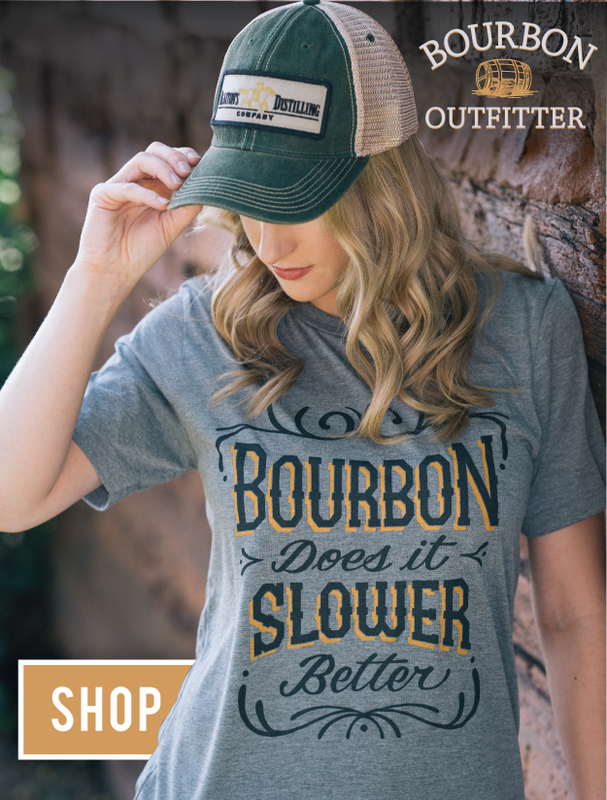 Shelbyville’s Outlet Shoppes of the Bluegrass is a towering outlet mall with tons of great shop options, so if the weather goes sour, you need an emergency outfit, or you just want some retail therapy, making a run on your way out of town or between Saturday activities is a great idea. But for nightlife we also wanted to mention something that may appeal more typically to our male readers: Executive Cigar. A lovely shop and lounge, Executive Cigar has a great selection of cigars for a shop twice its size, and a knowledgeable staff for whoever in the group might not feel comfortable in a humidor. Their Bourbon selection is equally well-curated, offering a number of common and rarer bottles, but it’s doubtful in our opinion that you can find a better Bourbon to go with a great cigar than Four Roses Single Barrel (feel free to try of course). AirBnB is going to be the most rewarding choice you can make in your Shelbyville stay. With so many immaculately maintained and restored old homes in Shelbyville, the idea of staying in a chain hotel would be like having McDonalds in the heart of Paris. AirBnB will offer a wide array of beautiful options, including beautiful country estates and mansions paid for with generations of horse breeding. 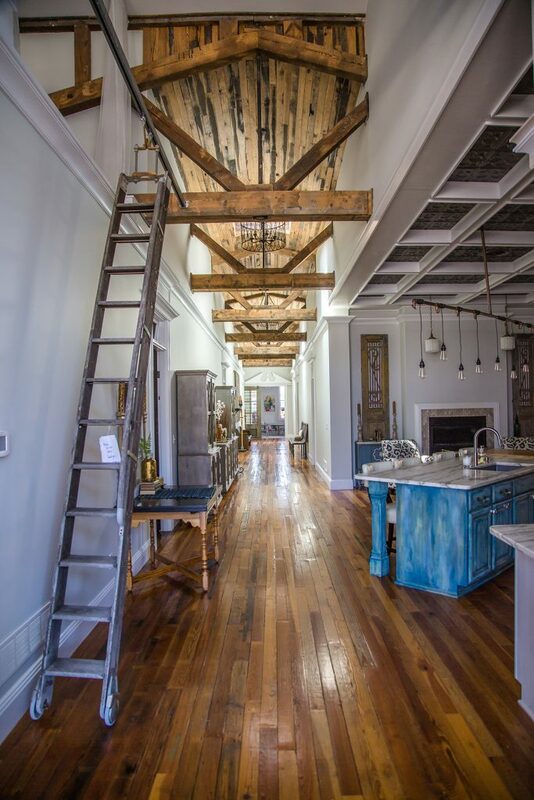 But as appealing as they may be, the best options we found were a series of gorgeous lofts on the main street in downtown Shelbyville. 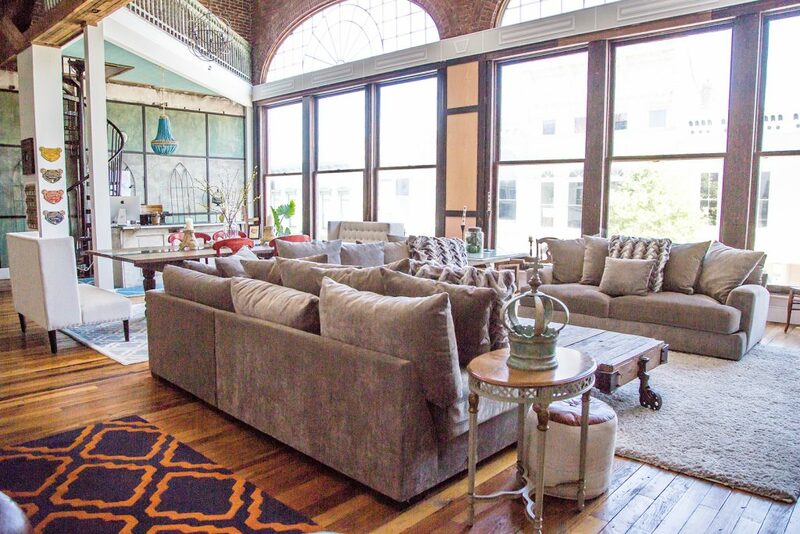 Loft on Main, Le Coop, and Urban Loft are the gorgeous, beautifully furnished highlights of a growing rental market in downtown Shelbyville, and depending on whether you’re a solo couple or part of a group, there’s something for everyone. The biggest and most dangerous rental option in downtown Shelbyville, Urban Loft is the best and worst place to stay in town. It’s an absolutely breathtaking space with enough sleeping space for well over a dozen guests to comfortably cohabitate, but the space is so absolutely picture perfect and secluded that you might have trouble coaxing all your traveling companions to ever leave. A stylish modern option for one couple, with all the amenities you need in between activities. The location is fantastic, within less than a block to many of our favorite restaurant picks, and the view isn’t half bad itself. Space includes big picture windows and a cozy living room for planning the morning’s adventures after a day of driving. A gorgeously restored 1800s loft space, Le Coop is the perfect weekend base for one or more a set of couples, with tons of beautiful views and angles for the instagram-happy love of your life. It’s also perfectly convenient to a number of great restaurants and bars.